Links to photos of The Backlands – please forward more! Photos on Oct 15, 2013 include a 360 degree panorama. A set of photos illustrates the regeneration of vegetation over 16 months after an intense fire swept through forest and barrens in the vicinity of Spryfield, Nova Scotia on April 30, 2009. The fire destroyed twelve homes. 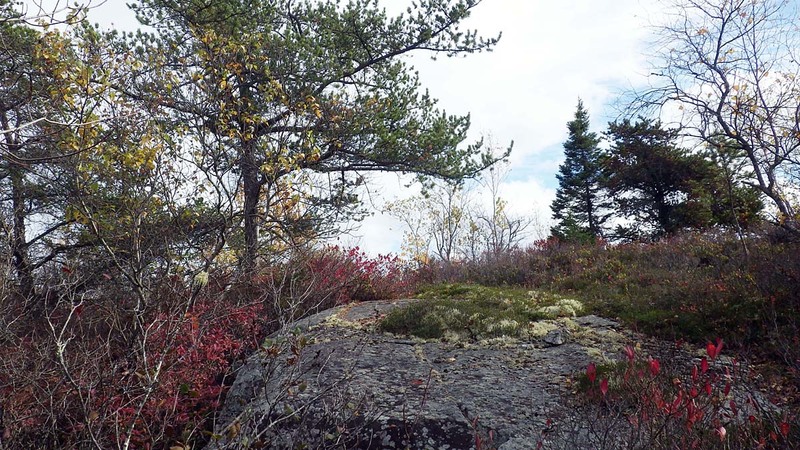 The photos are from two areas: the Purcell’s Cove Conservation Lands, and on crown land in the vicinity of Lower Mud Pond. This landscape is particularly fire-susceptible and supports a unique plant community adapted to recurrent fires. This 360 degree panoramic view gives a sense of the extent of this pocket of wilderness, also of it’s situation within a larger urban area and of creeping encroachment by concrete and asphalt. Photos on Aug. 25, 2012. Photos on January 22nd and 24th, 2013. A wonderful place to enjoy winter! A panoramic 360 degree view of a landscape in the process of transition from a wild to a domesticated state. 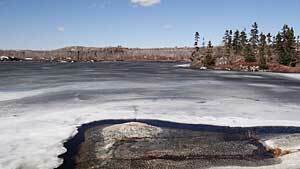 Assembled from photographs taken on Nov. 1, 2011 above Colpitt Lake on Halifax mainland south.